Talk about being in Coastal 7th Heaven this week! 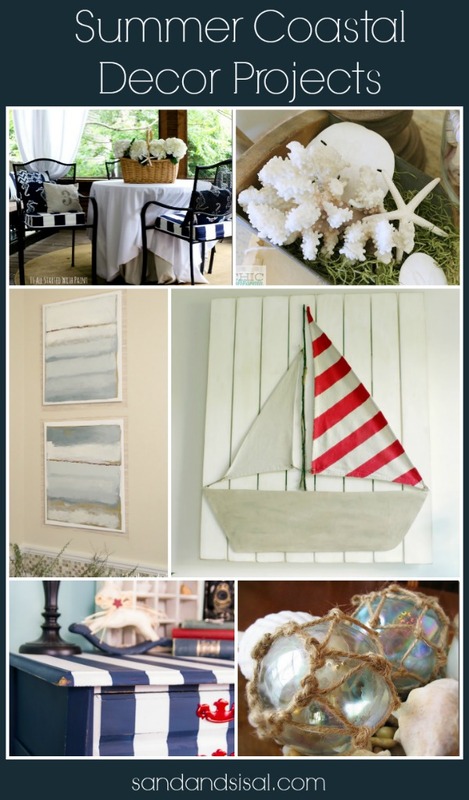 I was thrilled to see how many Summer Coastal Decor Ideas & Projects had been linked up to our Inspire Me Monday Link Party. I think it’s fair to say that you all have discovered my weakness. Enjoy checking out all of these creative DIY projects you can try out for your home!